Kraftwurx will be attending Rapid 2012 with 3 employees. Although we will net be exhibiting this year, we will have an art piece on display and be on hand to talk to anyone wishing to learn more about our services and direction. We felt that it was simply not time to display in a booth this year because we are working very hard to finish integrating phase 2 of the site which we expect to have done later this year. Our phase two goals will bring big changes to both functionality and capabilities as we begin unveiling Digital Factory™ in phases. As a 17 year member of the Society of Manufacturing Engineers, I have had the privilege of being involved with one of the worlds premier professional societies and RAPID is an amazing event. As you know 3D printing is gaining momentum in the industry and we (Kraftwurx) plan to be a part of the next Industrial Revolution. We look forward to seeing you at RAPID 2012! When considering a 3D printer, the industry in which you work for has a huge play in what you get. There are quite a few printers that exist today; in fact, over 60 are currently being sold commercially. Thankfully, this industry is growing so that product developers, concept artists, engineers, and hobbyists can afford to take part in this fascinating technology. Currently, 3D printing is worth about 1.7 billion dollars. 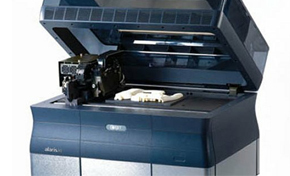 The 3D printing industry is projected to be worth 3.7 billion in the year 2015. As this growth continues, 3D printing will continue to grow more and more available. Until recently, 3D Printing has been targeted mainly at big engineering firms, Hollywood, dental, and casting industries. This technology is incredible in my opinion, but it is also expensive in quite a few situations. The chances of the average consumer owning a 3D printer in their home would be like the chances of an average American owning a television in the 1940’s and 1950’s. It is possible, but expensive! Even then, the television would be 4 inches by 4 inches in some cases! However, 3D printing is just now becoming available for everyone. Let’s take a look in some of the newer 2012 3D printers, particularly the “desktop” printers. 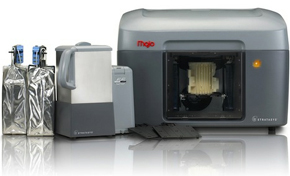 Very recently, Stratasys launched the Mojo 3D Printer which is exceptionally helpful for this home-printer-movement. This printer holds the width of a large traditional paper printer with a taller build that offers large prints for its size, offering 5 inch x 5 inch x 5 inch prints out of ABS thermoplastic. The detail and speed is exceptional for a printer at this price; prototypes can be developed within a day! This printer costs less than $5,000, and in my opinion, is the number one contender for the home 3D printing movement. Technology like this is incredibly helpful for consumers and small businesses, as it introduces them to the fascinating technology known as 3D printing! 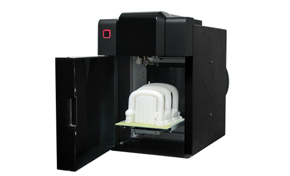 3D Systems recently came out with its newest home 3D printer, Cubify. This printer comes at a low price of $1299, and creates larger prints than Mojo with a larger variety in color! It may not have quite the detail level of Mojo, and it doesn’t offer support materials, but this printer may be putting Makerbot out of business. Cubify will support an open source 3D printing design community similar to Thingiverse. On May 22nd, Objet launched its newest printer – the Objet30 Pro Desktop. This machine has a price that’s relevant to small businesses and desktops, but it has a couple special “powers”. This 3D printer uses 7 materials with Objet’s patented multi-jet technology. That means that the Objet30 Pro can use 7 materials in one print! This is an awesome printer in my opinion! PP3D just launched their newest printer, the UP Mini Printer series. It is small, and creates small prints at 4.7” x 4.7” x 4.7” but this machine comes at an awesome price of $899. This machine might not be the absolute best for rapid-prototyping excellent parts, but it definitely holds its own when compared to other hobbyist printers. Oh, and did I mention that it only costs $899. That’s cheap! 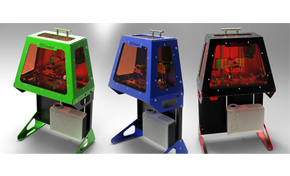 Michael Joyce turned to kickstarter for funding for his new 3D printer idea, and he found it! The B9 Creator is the first home SLA printer. This machine uses ultraviolet light to cure liquid resins into real figurines at only $2,375. It’s interesting in my opinion to see a quality 3D printer manufactured for cheap – by an individual. Pretty interesting stuff in my opinion, which is your favorite? The technology I'm going to talk to you about is 3D Printing. It is a pretty interesting technology, and nowadays it can create some serious stuff! If you don’t know much about 3D printing, it’s essentially the layer by layer assembly of three dimensional products out of various materials through laser melting or other methods. I want to show you some of the more interesting applications of 3D printing. Check out the top 10 applications! Wow, that’s all I have to say towards this. 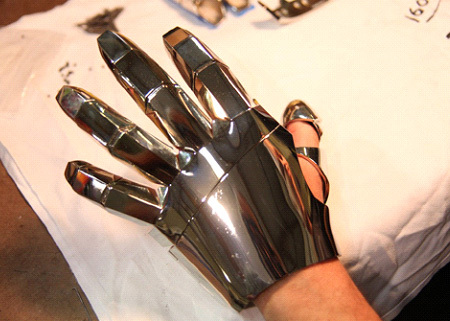 3D printers are using cells, or “bio-ink” as the material to create functional parts! Simple body parts such as this artificial vein, urethras, and bladders are already being developed. How awesome will it be when we can print hearts, lungs, and kidneys? With Mineways, a new 3D software, you can export your Minecraft models into a 3D printable format. What does this mean? You can now create your Minecraft creations! "Sure, those gigantic tributes to Italian plumbers look great on your PC screen, but sometimes you want something a little more tangible. That’s exactly what Mineways lets you do. 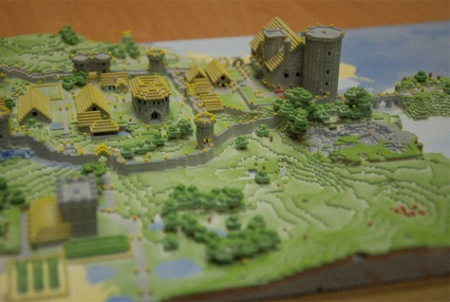 Yep, it’s another demonstration of why we all need a 3D printer in our life." 3D Printing has done it again, this time with the movie industry. When it came down to actually creating parts to the Ironman suit, Objet, a 3D printing company, didn't have a problem doing it! 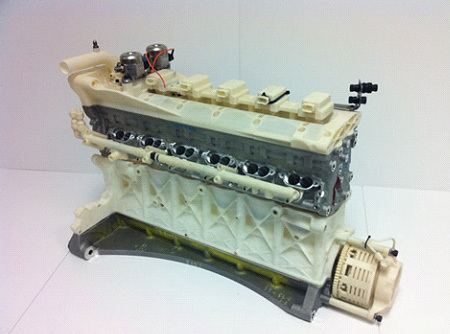 Stratasys, a 3D printer manufacturer, has outdone itself with the prototyping and testing of the AMR-One engine. "The Stratasys Dimension Printer was used to mock up the chassis, driver controls and engine of the race-car. The 3D printer produced prototypes for concept and testing of Aston Martin’s new chassis." Need to have a crown put in? Look no further, 3D printing can save the day! With the option to scan and x-ray your jaw, precise parts can be created specifically for you. #6 Paper Thin Solar Energy? Xerox is beginning to print silver at a melting temperature below the point of plastic. What does this mean? Conductors, semiconductors, or dielectrics are being developed now through this technology; what is next? With this advancement, we are one step closer to creating paper thin solar strips – possibly through 3D printing. "Crafted into different versions which can act as conductors, semiconductors, or dielectrics, this silver ink could allow users to print integrated circuits onto plastic, fabric, or film. 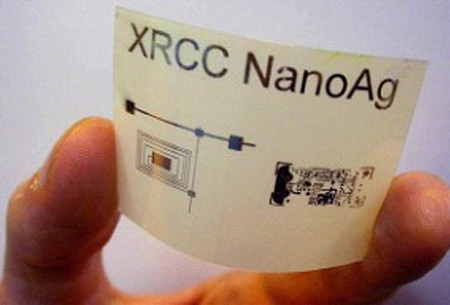 Thin and flexible, this technology may be the key to paper-thin solar cells, adaptable sensors, and many other sought after devices." Prototyping new products and creating custom models is what the 3D printing industry revolves around. Now it’s being used to create snacks?! I felt that I had to mention this 3D printer. "The Digital Chocolatier is a prototype for a machine that allows users to quickly design, assemble and taste different chocolate candies. 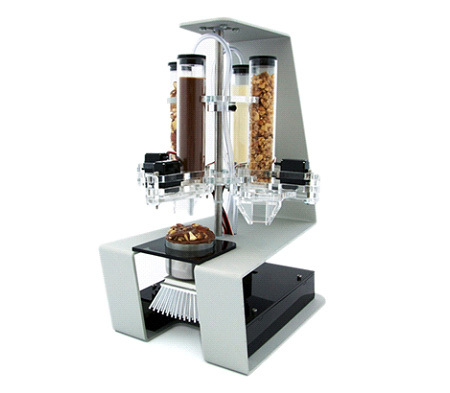 This machine is composed of three primary elements: a carousel of ingredients, a thermoelectric deposition cup and a user interface." 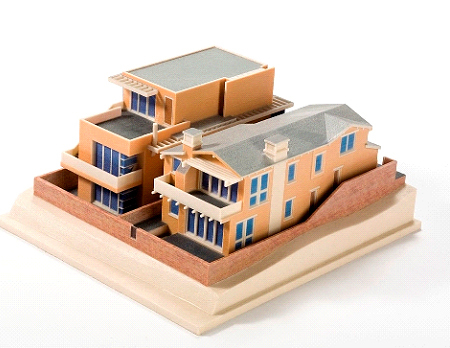 Architects are using 3D printing as a new way to show off their prospects to clients. A full color model is cooler than a sheet of paper if you ask me! Doctors and engineers in Belgium developed a titanium jaw replacement for an 83 year old woman! I think it’s pretty significant to watch how much the 3D printing industry will be affecting the medical world. "3D printers are continuing to force their way into medical circles and the latest beneficiary is an 83-year old woman. She's the first to receive a titanium jaw crafted by those not-so dimensionally-challenged printers." 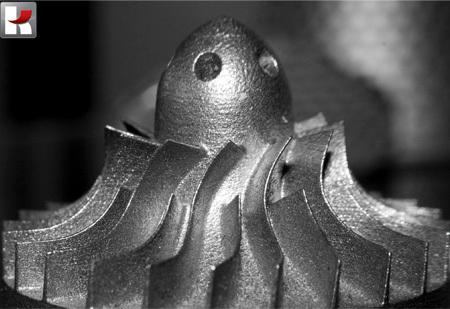 3D printing can create custom parts for virtually anything. If you’re trying to restore a 50’s Bentley, where are you going to find a spare door handle? Maybe you’re a character developer, and simply want to put your work out there. 3D printing can be the solution you need to create custom parts. 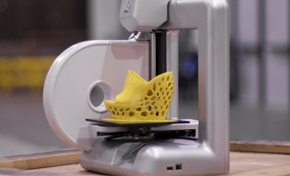 3D printing is a crazy technology -- you can create virtually anything! Anyone can be involved with 3D printing. If you have a computer, and free 3D software, you can create your own custom products! This laser technology isn't as expensive as you'd think! This will be the first blog entry that I have had time to write in months. I thought I might start off with a a primer on what changes we have already implemented at Kraftwurx and what changes are coming soon. Major Improvements to the 3D viewer. We are now able to display Texture maps in-browser and you can change the orientation after upload. This is extremely useful if you have an issue where the map gets inverted. Axis Change. you can change the axis of your model so that it rotates correctly. Sometimes models imported spin strangely and you can now change that. Materials changes: We are up to 70 materials not including colors. We just added Glazed Ceramics. They are available in more than 7 colors. Assembly system: Although not polished, you may now upload and build an assembly made of many 3D printed parts that together make a product. This means that you can sell an assembly and have all parts delivered like a kit to your customer OR you can have all parts shipped to you for assembly before sending to your customer. Great changes are about to come about to the site itself. A Major Facelift is coming along with improved functionality to the entire site. Look forward to the custom section receiving special attention. You will be able to reach out to the entire community to hire designers to model your work. You can do this now but its a bit of trouble. Personalization: We are getting very close to launching our entire customization system. When it does...it will be a huge step in the world of personalization. With these changes we expect to see a new round of enthusiasm to the site. Rendering. We are now rendering your products so that even if you do not upload an image, even your private models will have an image to help sort them out. Private Stores are coming. You asked for it, we are going to deliver. Private stores, not branded so that you can sell your products online on your own branded store. Many other changes and improvements: Everyone stay tuned, exciting things are brewing. Kraftwurx launched in November 2011 with the goal of printing the planet. When we launched, the site was already running an efficient backend system that effectively manages the manufacturing operations. That product is called Digital Factory and it is essentially an Enterprise Resource Planning System, purpose built for 3D printing. Digital Factory is responsible for order management, shipping, supply chain management, planning...basically it runs the show. This ensures that what we ship arrives at your door correctly, including guaranteeing that you don't get somebody else's shipment. This is a problem we hear often about our competition. Managing the volume of orders in a website like Kraftwurx is a daunting task but Digital Factory from Digital Reality makes things very easy. It is essentially a plug and play system. But it continues to evolve. Digital Factory emerged from my personal career and education in manufacturing and engineering, working for companies like Dell in product development and Applied Materials making semiconductors (computer chips). I am also a 16 year member of the Society of Manufacturing Engineers and a member of the Direct Digital Manufacturing tech committee which is part of SME's RTAM community or Rapid Technologies and Additive Manufacturing. My career included lots of operations work and coupled with a deep love of 3D rendering and Animation. I did my first render on a Mac LC II in 1991 using a program called Infini-D 1.0. I quickly moved to Electric Image and Ray Dream Designer. You name it and I have used the app for CAD or rendering. By 2004 I had begun formulating ideas for Online Customization of products via 3D and rapid prototyping. I watched my then 12 year old son Austin playing a game called Midnight Club where you can customize your car and then drive it. My son I noticed, spent more time customizing than driving and constantly wanted to show off his designs. Digital Factory became an obvious thing to build. It Did not come about overnight, it gelled over the course of about 4 years, starting with seeing websites like VistaPrint and a now defunct site called Customatix or cmax. CMAX was the precurser to NikeID and was very innovative. By 2007 I was pitching the idea to VC's in Austin, the Austin Technology Incubator and the Texas Emerging Technology Fund. It was an exciting time and there was nothing even remotely like it at being demonstrated. In late 2007 Someone posted an article about me and the system on Makezine, Make Magazines website. Shortly afterward I received more calls from made for one and even Derek Kelley at ponoko who was doing laser cutting. It was an interesting time...then we went dormant, working on our system. The future of Digital Factory is promising. The growth of 3D printing or what I prefer to call Digital Manufacturing will only accelerate in coming years. Its growth fueled by the minds of innovative entrepreneurs and inventors. Some people and indeed companies think they will lock up this emerging market and position themselves to control it...I think that is naieve. It's going to go viral, grow in ways that we don't understand yet. In ten years, 3D printing will have just become a serious contendor for the manufacturing real goods, not Just novel's items. For this change to occur, prices must drop, materials must improve and software tools must evolve so that its easy to take advantage of all the possibilities offered by the technology. It's an area that we hope to play in and bring these tools to you through Digital Factory and Kraftwurx. Houston Texas, Nov. 12, 2012 -- Digital Reality, parent company to Kraftwurx announces the release of Pro-Quote™ - A real-time 3D print quoting engine in the cloud. Pro-Quote™ is an easy to use solution designed as an unbranded order management solution that runs on your website. Pro-Quote™ takes 5 minutes to set up and includes automatic file validation and order management including automatic shipping label generation. It’s the only system of its kind available. Pro-Quote™ is part of the same system used by Kraftwurx called Digital Factory™. Digital Reality was founded in 2006 on the premise of empowering consumers for mass-customization and empowering manufacturing to deliver it. The company has been operating in stealth mode since 2006 and only recently announced its existence. Digital Reality exists to make 3D printing and product development more accessible by focusing on digital design tools and technologies that make 3D printing easy to use and more accessible. Our flagship product is called Digital Factory™ - a Suite of software solutions for 3D printed manufacturing. Kraftwurx.com is the world's original community & marketplace for 3D printing in the cloud. Kraftwurx let's everyone use the power of 3D Printing to turn ideas into reality™ and sell them to the world. Kraftwurx is a wholly owned subsidiary of Digital Reality. Kraftwurx allows consumers to create and buy custom-made and one-of-a-kind products printed in 3D and empowers manufacturing to deliver it through the world's largest distributed manufacturing platform powered by 3D printing. With 70 materials and 110 production facilities worldwide, Kraftwurx has the largest array of materials including ceramics, metals, plastics and more. The company holds several patents and patents pending related to web-based consumer-driven design and manufacturing through 3D printing.